Many asset protection experts agree that offshore trust in the properly selected jurisdiction is the strongest asset protection vehicle worldwide. The Cook Islands Trust has shown to offer the strongest asset protection case law history. It is the best jurisdiction for asset protection in our opinion. When a local court demands payment, the trust company in the Cook Islands, located outside your local court’s jurisdiction, is not obligated to comply with the court order. Thus, the licensed, bonded, insured 30+ year old trust company keeps your assets out of harm’s way. For client peace-of-mind we establish an offshore limited liability company (LLC) that is 100% owned by the trust. The client is the manager of the LLC. The accounts are held in the LLC in a very safe international bank. The client is the signatory on all bank accounts. When the “bad thing” happens and the assets could be subject to seizure by the courts, the trustee can step in as manager of the LLC and do what you have paid the trust company to do – protect your assets. Once the legal threat passes, the client is restored as manager of the LLC with the assets still intact. Our research has shown that the properly structured Cook Islands trust has protected client assets from every legal challenge. An offshore trust is very much like a traditional trust in that it comprises a relationship or arrangement among “Trustee(s),” “Settlor(s),” and “Beneficiary(ies).” Provisions are made in a binding, written legal document known as the “Trust Deed.” This legal tool can hold title to assets and property, manage said assets in accordance with the trust deed, in order to provide a series of benefits and distributions to a person or group of persons designated the beneficiaries. The difference is that when a judge in one jurisdiction demands that the funds be turned over, the trustee in the foreign jurisdiction is not bound to comply. The trustee and/or the trust company charged with the management of the trust are bound by a fiduciary duty to uphold the agreement. By signing the document they agree to the rules and requirements set out by the trust deed. A trust is unlike a corporation or foundation. This type of trust is a written agreement for the trustee to provide for the beneficiaries and to protect assets from predators. Once the decision to form the trust is reached, the settlor must then select the type of trust he wishes to form, its duration, and make important decisions on defining details. These details include deciding whether the trust is revocable or not, whether the trust will be discretionary or not, and to specify the rights, duties, obligations, and expectations of the trustee. With respect to the revocable or irrevocable trusts, much as their names imply, they can either be revoked at any time with the terms for this outlined by the settlor, or they can have a predetermined lifespan with no provisions for revocability, and only concluding when the terms of its creation as specified in the trust deed are met. By contrast, a discretionary trust can fall under either category, and is defined as a trust with much built-in flexibility with respect to how the trustee handles distributions to beneficiaries, and even provides, in some instances, the trustee with rights to appoint or add beneficiaries. This relinquishes a lot of authority over the offshore trust to a trustee, however, and highlights the importance of the careful selection of a competent, well-reputed trustee or trust holding company with good references, a worthy reputation, and the experience necessary to successfully and faithfully fulfill and honor the terms of the trust. The placing of assets and title to property in the trust is where the lion’s share of the confidentiality and protection from liability benefits of the offshore trust are garnered. While the legal title passes to the trustee, which must fulfill obligations set out in the trust. The intent of the trust is to provide for the beneficiaries, of which the settlor may be, and often is, a listed participant. These beneficiaries, hold very strong rights with respect to the interests in the trust and most jurisdictions recognize that the intent is to provide the benefits, as defined in the trust deed, for the these beneficiaries and rule favorably in their direction when questions as to the management of the trust arise. Because these offshore trusts are almost always found in tax haven or asset protection jurisdictions with a reputation for the safeguarding of assets and superb confidentiality, the offshore trust also benefits from these features. Assets managed within offshore trusts are for the most part free from the sometimes suffocating legal burdens applicable in a settlor’s home country or jurisdiction. If the trust is formed to arrange for the benefit of the one who formed the trust and/or spouses, children or other heirs of the settlor, for example, the offshore trust may provide a haven from intense inheritance scrutiny and taxation. Further, based on their formation in asset protection oriented safe havens, offshore trusts offer unparalleled confidentiality, increased protection from the perils of civil litigation and liability, and even from such things as divorce or business dissolutions. They are also used by many for protection of assets in the event of home jurisdiction political or economic turmoil It is extremely difficult, save in situations of accusations of a severe criminal offense, for an outside entity to pierce the confidentiality shield inherent to an offshore trust in most jurisdictions. 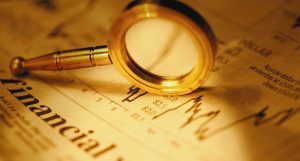 Offshore trusts are often formed in low-taxation or asset safe havens that have a proven reputation for the successful management and execution of trusts and trust funds. However, it is not absolutely necessary for a suitable location to be a tax haven or have lax regulations–many of the successful trust formation jurisdictions and countries simply offer renown, experienced trust companies coupled with superb confidentiality and with substantial asset shields. One common denominator is that these jurisdictions base their trust regulations and statutes on the English common law–this because the very idea of trust formation is an old English idea dating back to the time of the Crusades. Other European jurisdictions that offer successful trust administration, such as Luxembourg, Malta, Switzerland, etc., have adapted their statutes and regulations to conform with the proper trust administration models set forth by those based on the English common law. The jurisdictions that stand above the rest in terms of asset protection are Cook Islands, the Nevis trust and the one in Belize, in that order. Forming an offshore trust provides for substantial protection for assets from untoward scrutiny, litigation, and civil strife. It should be apparent that while the cost of formation and maintenance may be considered, the establishment of an offshore trust will provide for sound peace of mind for those looking to protect their substantial assets or provide for their children in the long term.